I’m beginning a new DIY writing retreat! Heading down a new path of revising my draft of Novel #2 – better known as The Romantics, a story of two half-sisters and the cottage they inherit in Italy, along with its resident ghost. It was drafted last year during National Novel Writing Month, (NaNoWriMo) a month-long writing marathon in which you commit to write 50,000 words of a new book. 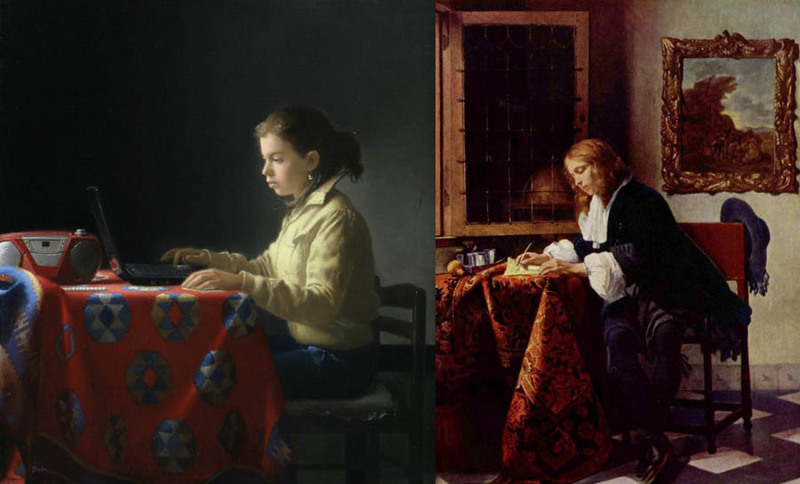 Are you jumping into this national writing craze too? I rashly signed up and plan to revise last year’s book. Did you know you can use NaNoWriMo as a rebel? You don’t have to make your goal 50k words. This time, I’m committing to two hours of revision every day, for 30 consecutive–my part-time DIY writing retreat. If you’re venturing down the #NaNoWriMo path with me — maybe your first-time? — here are some ideas to keep yourself going. Take your courage in both (typing) hands, and tell yourself every day, “I’m now going to do my beautiful writing!” Also, make yourself a structure. Here’s mine. It was quite a thing, writing 50,000 words in 30 days. I signed up telling all my colleagues I wouldn’t cross the finish line, that I had no intention of it. I wanted to write good words, not fast and plenty words. But guess what? I have a giant competitive streak in my nature. Every day when I checked my writing buddies’ progress, a few pulled ahead, of me. It got under my skin. I started writing faster, upping my daily word count. I suddenly felt I COULD finish this marathon, and wouldn’t that be a thing? I began with a head start: a detailed outline and character profiles drawn from working with Lisa Cron’s Story Genius book on the craft of fiction. I knew the WHY for my characters, not just the WHAT. I knew what the two sisters each needed to achieve by the book’s end and what that was supposed to make the reader feel. Armed with all that, plus a pre-existing 10,000+ words, I leaped in on November 1. My life, it should be said, was in no way ready for such a venture, and that’s why I had to do it. My beloved brother had just died less than a month earlier. I had new family responsibilities as a result. I had a play I’d written in rehearsal, and a novel I’d completed to get an agent or publisher for. I was behind on my client work, swamped with chores and errands left unattended when we plunged into caring for my dying brother, and I was in deep mourning. And #NaNoWriMo2016 was the best thing that could have happened to me at that time. 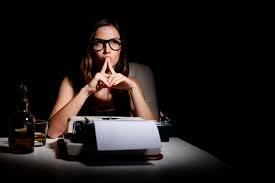 The daily exercise of writing sharpened my mind and my skills. 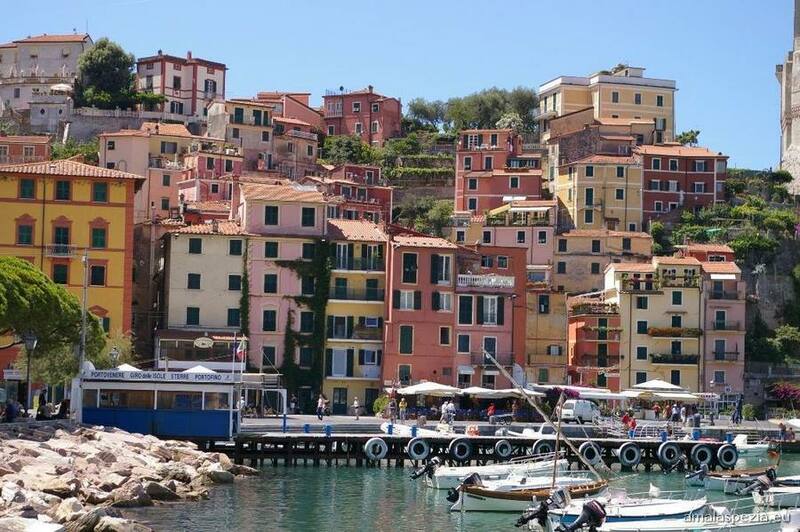 It focused me in a world – La Spezia in Liguria, Italy — beyond anywhere familiar, except that I have once been there on the happiest vacation I’ve ever taken. And it gave me a reachable goal. I’m very goal-oriented, so that was a happy space for, reaching for a new goal. As it turned out, I got my 50,000 words done by the skin of my teeth, and by dumping raw research into the body of the book, rewriting it, and then deciding to organize chapters later. And now I have two-thirds of THE ROMANTICS CLUB, a novel, roughly drafted. Some of the opening chapters have been polished to a high gloss. I did some editing while I wrote — can’t refrain from wordsmithing, as it’s my poetic pleasure to do it — and I did some organizing and LOTS OF RESEARCH. In short, I recommend this for all you goal-oriented writers who are wondering how to tackle the next book. You don’t have to wait for November. Name your own novel-writing month and try to hit a 1,667-word-a-day pace. Or if you did NaNo, you can use January and February to do some goal-oriented editing, with resources from NaNoWriMo. Whatever you do, know you can do more writing than you think you can. That’s the message of NaNoWriMo. Go to the website and donate to support this wonderful program that empowers lots of writers — young and old! Visit http://RachelDacus.net for more information and writing by Rachel Dacus. It’s a marathon: 50,000 words of prose, the majority of words for an 80,000-word standard mainstream novel. I’m at a little over 24,000 words this morning. Why am I doing this? Because writing is bliss and marketing a book is hell. Undergoing the process of trying to get a literary agent, who then tries to get your book a publisher, who then takes more than a year to publish it — that’s anyone’s definition of hell. It would fit Hieronymous Bosch’s picture of hell. And I’ve been in it for more than two years with a completed novel I’m marketing. It involves extravagant amounts of waiting, laced with copious rejection. It takes persistence and faith beyond what you think you have. But working on a new story is heaven. It makes hope, inspiration, and excitement surge. Every act of storytelling is a new adventure. It unfolds one day at a time, in the company of people I’m gradually getting to feel are boon companions, my characters. Like the Fellowship of the Ring, we have a purpose. We have a story to tell. We must sustain hope above all. It’s exhilarating, like climbing to an impossibly high peak and standing there to survey all the lands of the earth. Also, running my marathon has been a way to write myself through the dark woods of grief over my brother’s death a little more than a month ago. I would adapt the cliché and say that when things get tough, the tough writer gets writing. I know so many poets and writers who write their way forward, especially in difficulty. It’s how we learned to cope with our fatal flaws and the curveballs life throws, such as death, poverty, illness, divorce. I’m telling a new story involving all those. 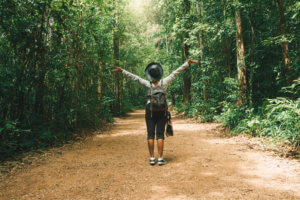 “Only by knowing your protagonist’s defining misbelief can you craft a story that will test it to the max, opening his eyes along the way.” Those are the best stories, the inward adventures that may be occasioned by outward ones, but always lead to new levels of understanding yourself, other people, and the world. Gaining Momentum in Novel Writing Month – Wheeeee! Update on my #NaNoWriMo2016 — today I wrote over 3,000 words. It helps to be doing a lot of scene-setting in an exotic location, which for my book is the picturesque Ligurian coast of Northern Italy. It also helps that I love writing descriptions of scenery and towns. I love researching places I’ve been or been near. 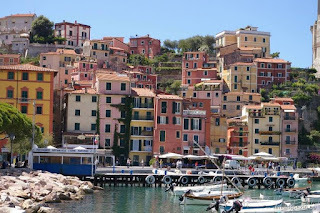 I spent time in Santa Margherita and Portofino, and the little town where I’m setting my book is just down the coast. 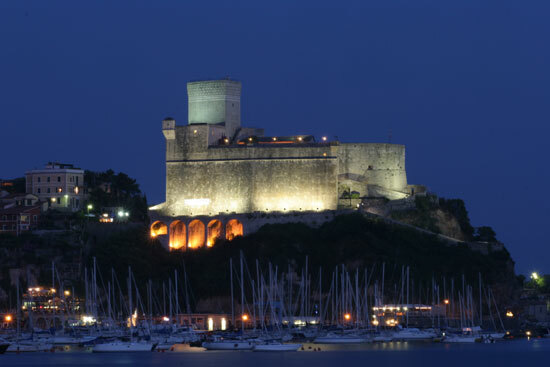 So it feels familliar, and from the pictures, looks much like the Portofino coastline, where steep green-clad cliffs drop to a sparkling blue and aquamarine sea. Many coves ruffle this coastline, as if someone with a giant spoon scalloped it. Tiny communities adorn many of these bays. The roads go up and down the hills, and the ocean breeze is everpresent. There, I just wrote more words and I might use them. The key for me is that 1) I have a detailed plot outline and character profiles, and 2) I love Italy! Writing about it brings out the poet in me. So if I have a clear day, as I did today, I can crank out a lot of words, and not just padding words, but good words, words advancing the plot and fleshing out characters and the kinds of things they say. A good writing day. I’m halfway to the 50,000 words mark, but I didn’t plan on really counting. Yet I find the marathon stimulating. It wouldn’t hurt to make that goal by November 30. While I wait for agents to contact me about The Renaissance Club, I’m still playing in Italy and lining up the next book. They all say it can’t hurt in marketing the first. Plus, it’s increasingly a lot of fun. My work-in-progress, The Romantics Club, is a third of the way, if you estimate it by words count. I’m now more than 20,000 words (and 85 pages) drafted on an 85,000-word (goal) novel of roughly 335 pages. 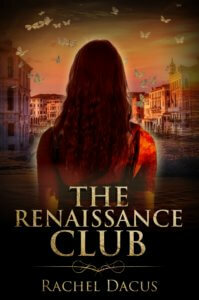 That’s about the count for my completed novel (available to an interested publisher), The Renaissance Club. And I didn’t do it with a quill and ink. Thank goodness for the digital age! I did it. I signed up to write 50,000 words in the month of November. Partly, I did it because I’m writing a new novel, The Romantics Club, about two half-sisters who inherit a cottage in Italy and along with it, the ghost of the poet Shelley. I wanted something to distract me from two inevitabilities: death, this one my beloved brother’s; and waiting to hear about my completed manuscript, in this case from agents who are reading the whole thing. Death and patience — of course they seem so similar. Grief and creativity — who knew they could be aligned. But I’m writing my way out of grief. The more I feel sad, the more I turn to the blank page and find it blossoming with places I want to go (always Italy!) and people I want to know more about. Sisterhood is a topic in which I can explore my feelings of having been a sister. It makes me cry to write “having been” but I guess I still am a sister to my brother, and to my sister-in-law and a few close friends. Sisterhood fascinates me. As a child, I always wanted a sister because it seemed like that would make me less lonely. 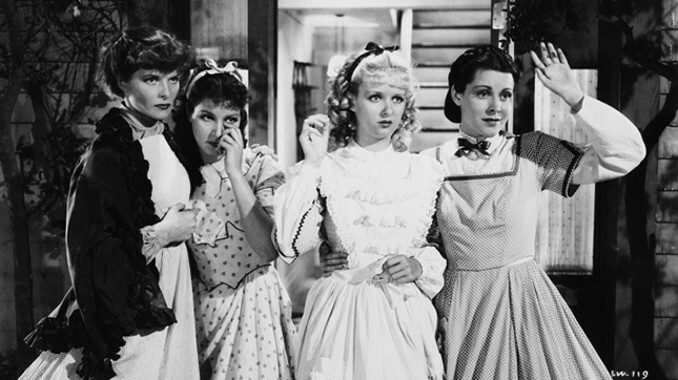 I read about girls I would have like to have as sisters: Dorothy in the Oz books and Nancy Drew. The little girl in Miracles on Maple Hill, and all those fantastic sisters in Little Women. 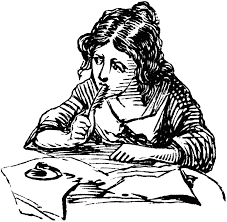 I now belong to an organization called Women’s Fiction Writers Association, and a number of those novelists are participating in NaNoWriMo. Half a million books will be written in this month — astounding statistic. Mine won’t be finished because my Muse can’t be rushed. But the experience feels — sisterly. And that’s a wonderful feeling right now.